I know you have made this 100 times. I have. Maybe even used 100 recipes. Some call for mushrooms, some do not, some serve on rice or mashed potatoes, some do not. 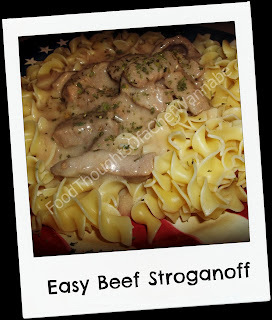 There is an entire realm of dishes called "Beef Stroganoff". Truth is, there are as many stories about this dish as there are recipes. Some recipes also flour the beef, been there, done that, not my kinda deal. My husband loves beef stroganoff and he loves mushrooms in it. I did not add mushrooms this time but I will add them to the recipe so you can make it "wit" or "wit out". Oh wait, that is cheese steaks. How is it possible I am thinking of a cheese steak, a REAL cheese steak in the middle of writing a beef stroganoff blog. I don't know. Anyway, back to the subject at hand. 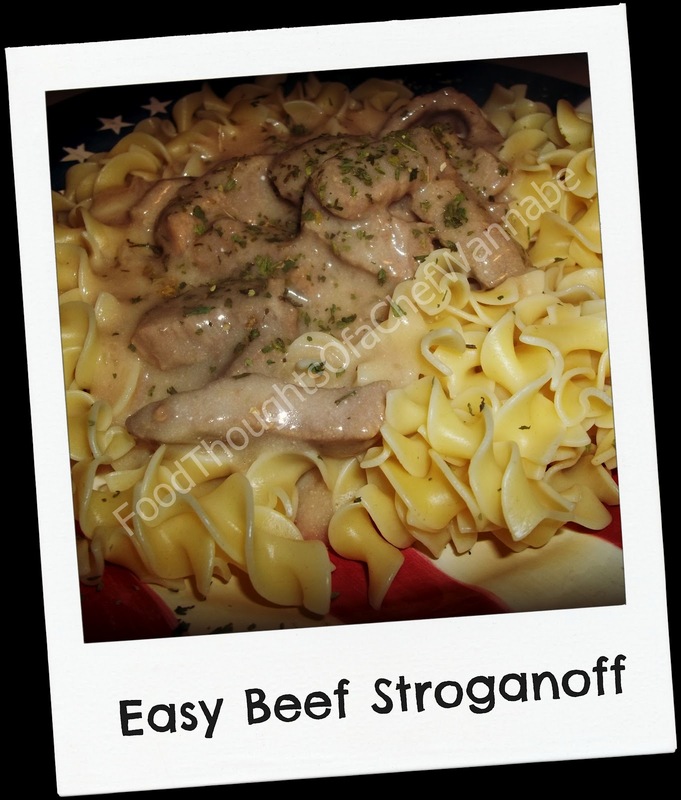 I am convinced if it has beef, you serve it on noodles and incorporates sour cream into the sauce it has to be classified as beef stroganoff. This recipe is so easy, and will feed a crowd. It is nothing fancy, just fabulous. And you know "fabulous" is one of my favorite words, mostly because the Grinch says it so well, but if I deem it fabulous, it must be at least kind of true, right? We are beef eaters, so I used a large amount. It really can be changed up for your taste but this is even better as leftovers so use as much as I say and don't keep the experience of eating this as leftovers from your precious families. In a large-ish pot add a drizzle of olive oil and add in beef, browning one layer at a time. Remove and add more until all is done. Toss in mushrooms and cook for a couple of minutes if they are fresh and add in the beef, if you aren't adding any or they are from a can just skip this step and add them in with the beef. Stir in your thyme and soy sauce as well. Steamy I know, but look beyond the fog! Take your COLD beef stock and whisk in your cornstarch, make sure it is whisked WELL. When beef has reheated and is sizzling, add in your beef stock, start stirring immediately as it will begin to thicken in just a couple of seconds! Stir and cook for 3 minutes. Put the lid on and prepare your egg noodles according to package directions. Just before serving, mix in sour cream. Serve on top of your hot buttered egg noodles and garnish with parsley if you like! I made some corn on the cob and had some fresh sliced tomatoes with this, it was SO good! PS. This is that dish you just can't make look so pretty in a photo. Sorry! Mmmmmmmmm sounds great!! Going to try this soon.